Combine Rogliano's Italian dressing, mustard powder and granulated garlic in a ziplock bag for about an hour, shaking often. 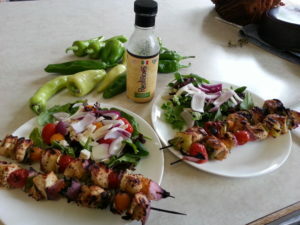 Place on kabob skewers with veggies. 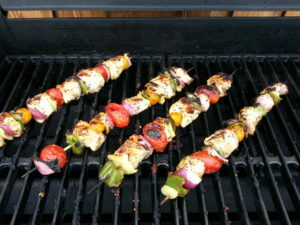 While barbecuing them sprinkle with steak seasoning.